I'll start with lip products as this took a lot of narrowing down, I could literally have listed ten but I whittled it down to my top three. Mac Mehr is a gorgeous matte pink shade that is a very 'me' pink-mauve, its a little more pink that I would usually go for but I've been enjoying the change especially now the weather is at least attempting to get warmer. I did a whole post on the Anastasia Beverly Hills Lip Glosses which I cannot recommend enough, the shade Kristen in particular I've been reaching for a lot as its a beautiful colour and is so easy to wear. Surprisingly it took me a long time getting round to trying a Nars Velvet Matte Lip Pencil, seriously what was I doing? I finally got one in Dolce Vita which is such a pretty rose colour. I always assumed these would be a little drying as most matte products are but they really aren't, they're so light and comfortable on the lips. I desperately need to expand my collection of these pronto. 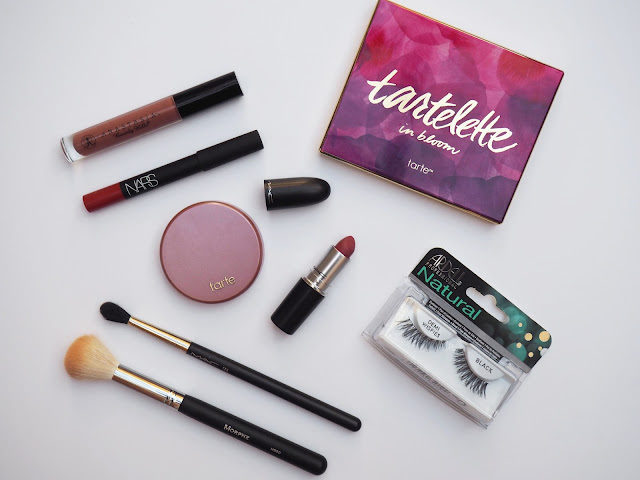 Tarte products have been a big part of my make up routine this month. The Tartelette In Bloom palette is a thing of beauty, the packaging, the formulas, the colours- it really couldn't get any better. This palette is just an absolute pleasure to use, I really can't put it down. That also applies to the Amazonian Clay 12 Hour Blush in Exposed which I've been using day in, day out for a couple of weeks now. 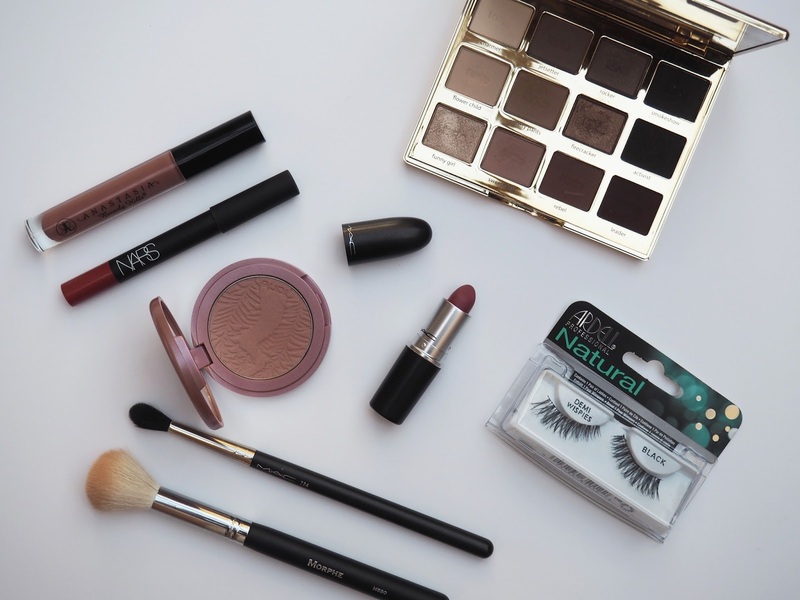 For a special occasion or night out I always like to wear a pair of falsies and the Ardell Demi Wispies are perfect, I don't like lashes to be too big or too long but just enough to add a bit of volume and these work an absolute treat. This month I've been finding lots more of those 'special occasions' to wear them as they make a massive difference to my eye make up. I'm trying to resist become a complete falsies junkie but promise nothing. Mac eye brushes are some of my absolute favourites so I had a feeling I wouldn't be disappointed by the 224 brush and I was not wrong. It has a tapered shape which makes it ideal for blending in shadow, it just makes everything so easy. My only annoyance is that the bristles are black so its sometimes hard to judge how much product I have on it but I got over that pretty quick. I also picked up several Morphe brushes and the M530 is a standout for me, I've been using this to apply highlighter and its just the right shape for it plus Morphe brushes are an absolute bargains! I really can't knock it. Just going to mention that your popular posts widget images are extremely blurry! 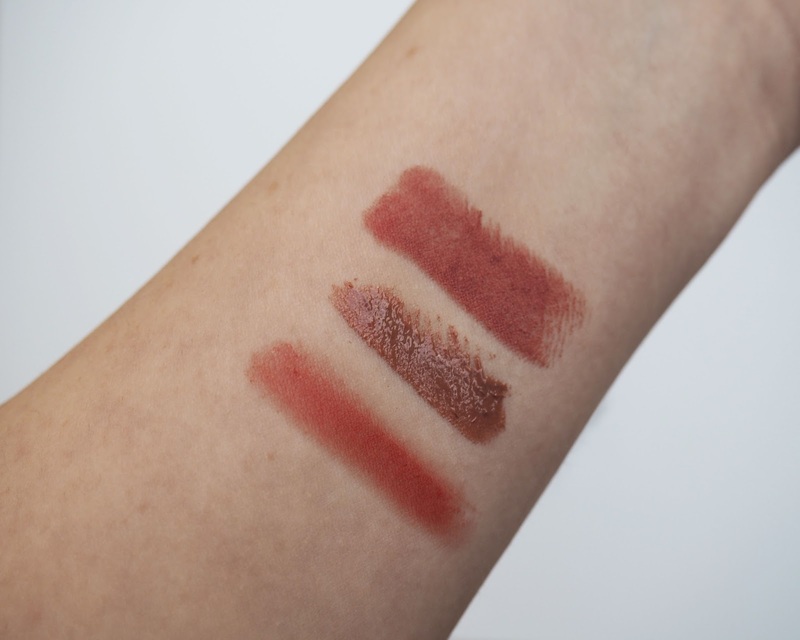 that nars lip product has a high street dupe as new look have some pencils which look like them exactly whilst the pigmentation of them is incredible, try them out and maybe see if they're near enough the same! ?